To celebrate the 20th anniversary of StarCraft, Blizzard is giving away items across a variety of titles throughout March. If you’re a Hearthstone fan, that means three free card packs. Here’s everything we know about Hearthstone’s Year of the Raven. Every week, Hearthstone hosts a Tavern Brawl, a unique game mode that changes upon every release. Normally, winning your first Brawl of the week rewards you with one classic card pack, but Blizzard are offering a special prize for players who complete a special StarCraft-themed version of the mode. The anniversary Brawl will be available from March 21 to 25, and according to Hearthpwn, you need only participate to be granted your reward. 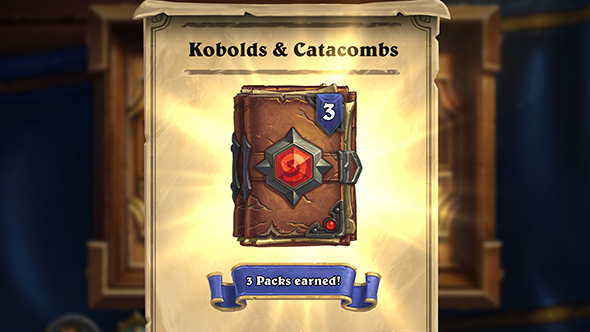 This time, that’ll take the form of three free card packs from Hearthstone’s Kobolds & Catacombs expansion. Other Blizzard games are also offering Starcraft-themed goodies. Most notable of those is a free Widowmaker skin in Overwatch, but there’s also a Battlecruiser pet for Diablo III, and anniversary portraits for Heroes of the Storm.